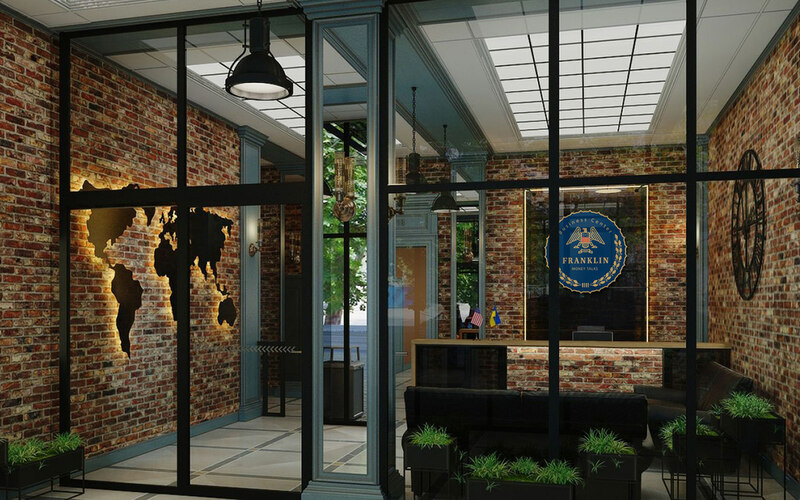 FRANKLIN is the new business center in the center of Dnipro city (Ukraine). 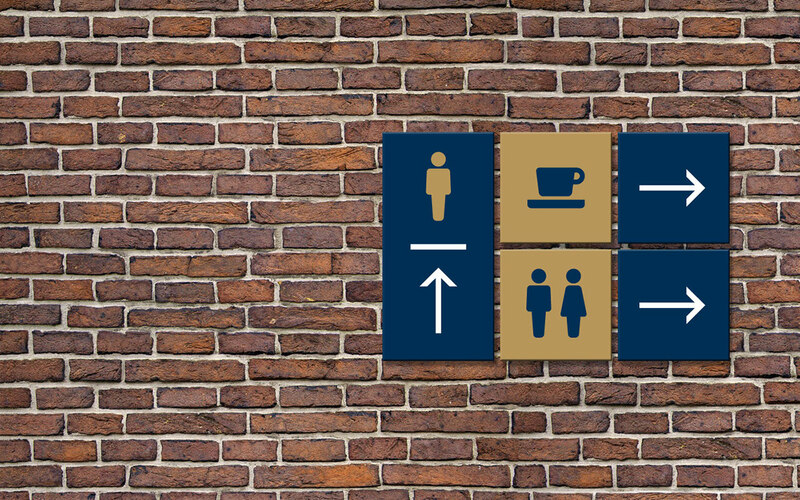 A business center is always a story about money. 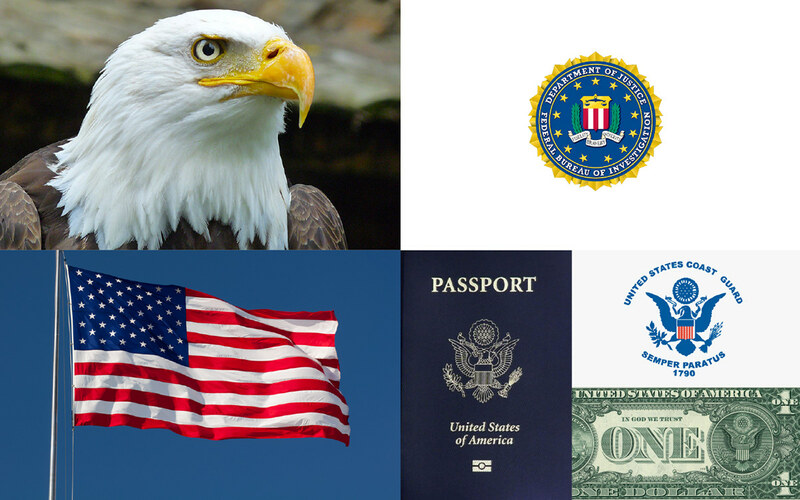 And the international "face" of money is, of course, Benjamin Franklin, who adorns a hundred-dollar bill. 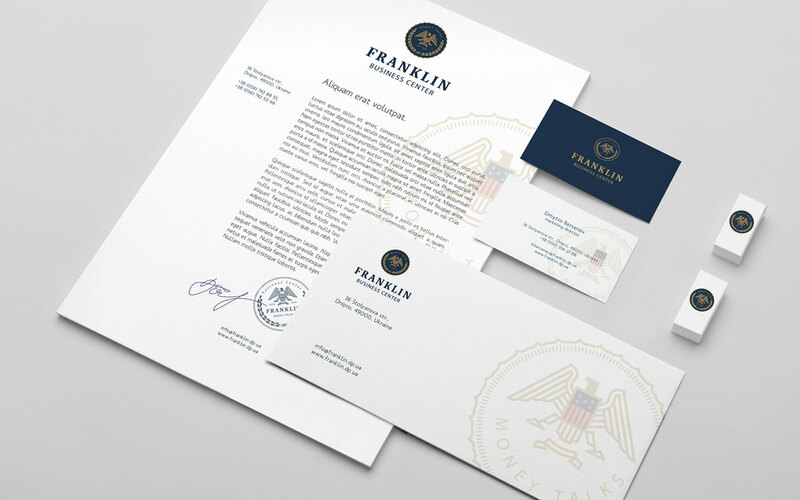 The visual identity based on the style of the US state symbols. 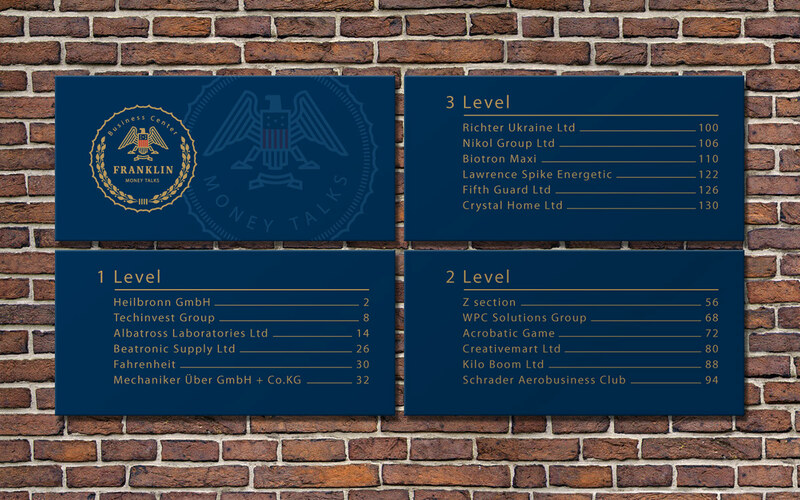 Our sign is stylized as the coat of arms, the restrained color palette translates prestige, reliability and fundamentalism. 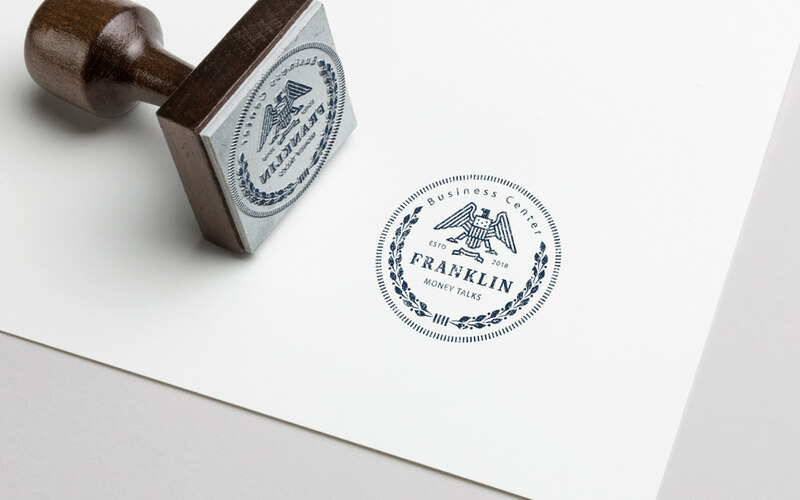 It can be read in every piece of style from the flag to the corporate stamp on the letterhead of the document. 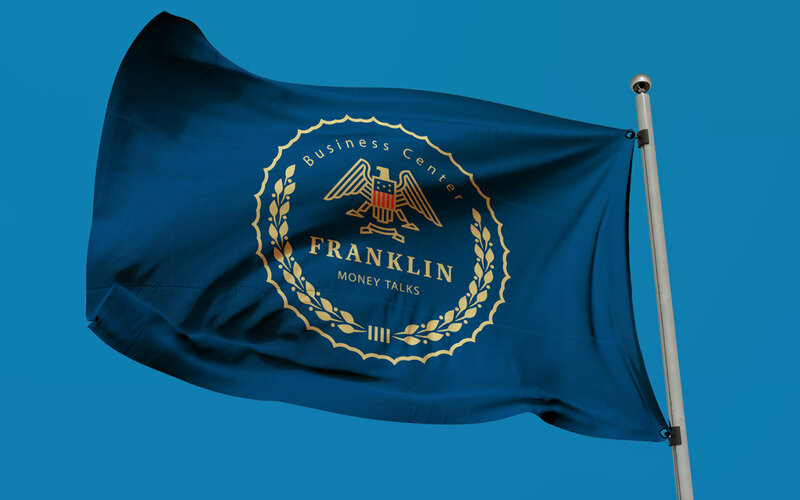 We developed the name, the slogan "Money Talks", logo, corporate identity and brand book for FRANKLIN. 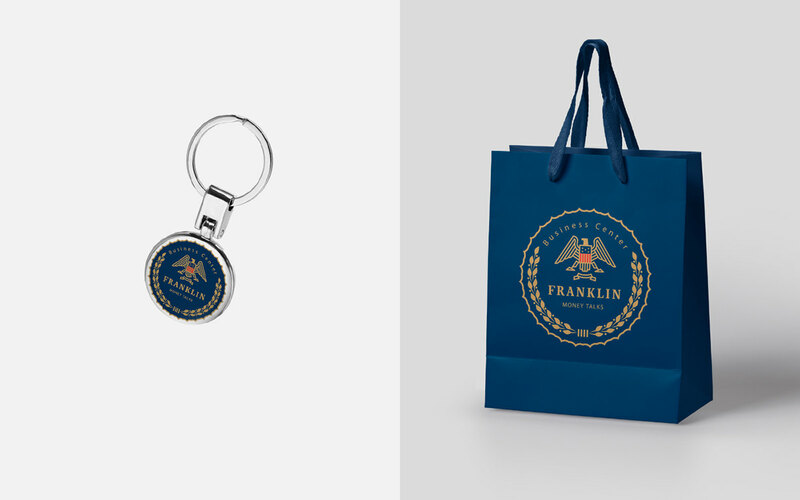 FRANKLIN – это новый бизнес-центр в Днепре (Украина). 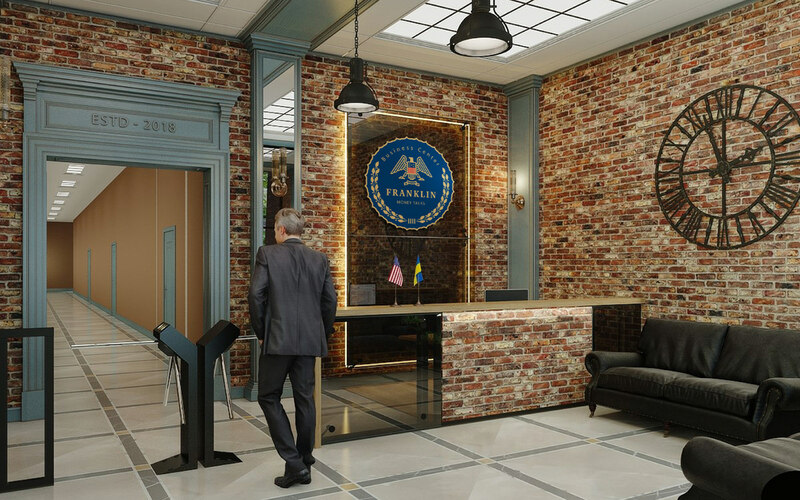 Бизнес-центр – это история про деньги. Международное «лицо» денег – это, безусловно, Бенджамин Франклин, который украшает собой стодолларовую купюру. 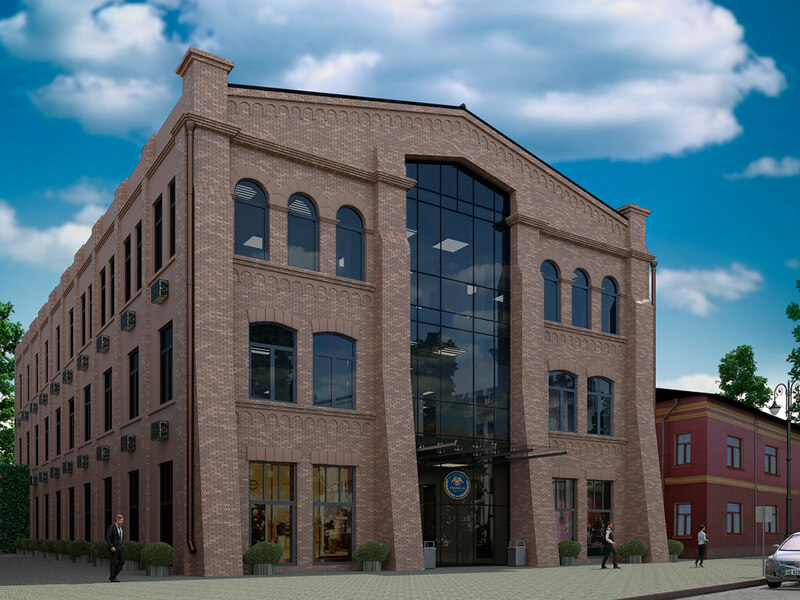 В основу визуальной идентичности легли мотивы, характерные для государственной символики США. 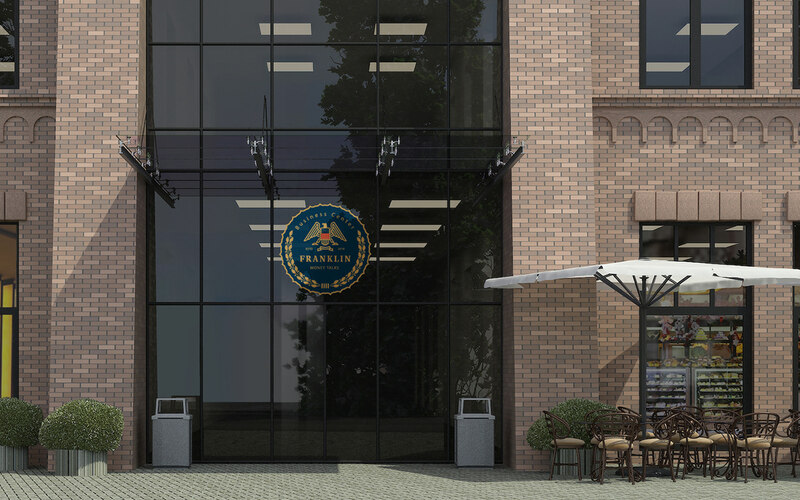 Наш знак стилизован под герб, бизнесово сдержанная цветовая палитра транслирует престиж, надежность и фундаментальность. Это читается в каждом носителе стиля, от флага до корпоративного штампа на бланке документа. 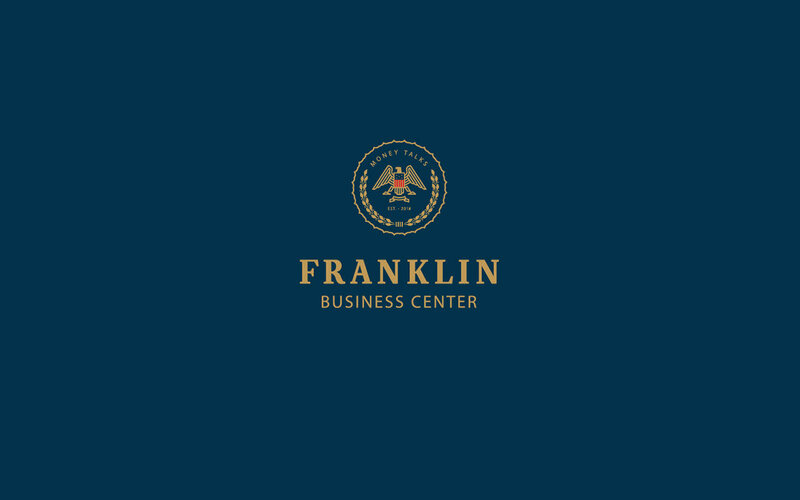 FRANKLIN is the new business center in the center of Dnipro city (Ukraine). 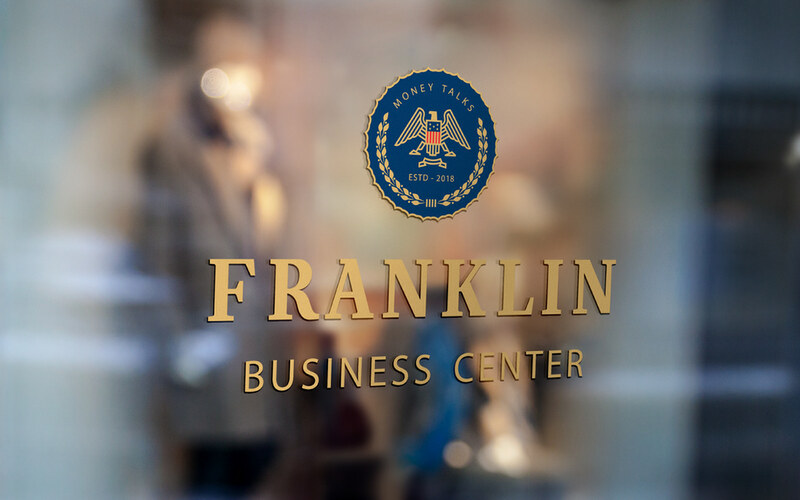 A business center is always a story about money. 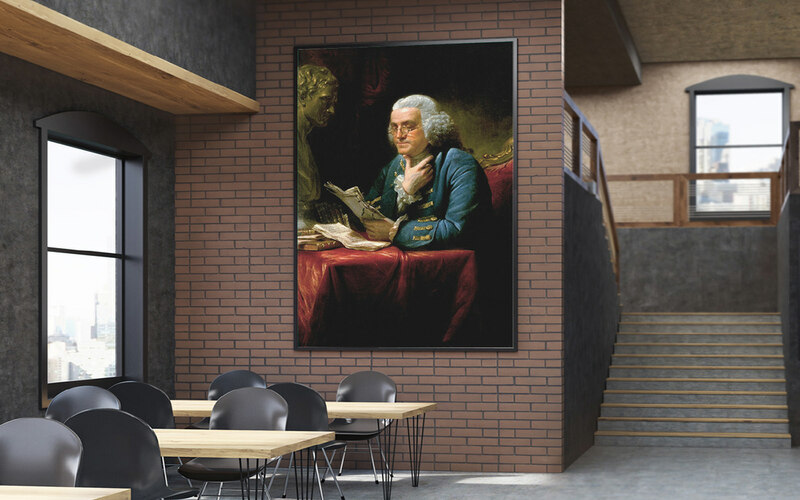 And the international "face" of money is, of course, Benjamin Franklin, who adorns a hundred-dollar bill. 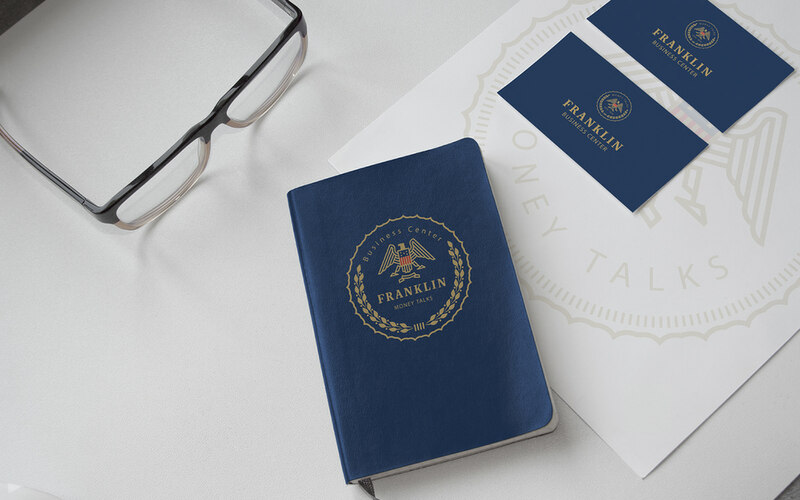 The visual identity based on the style of the US state symbols. 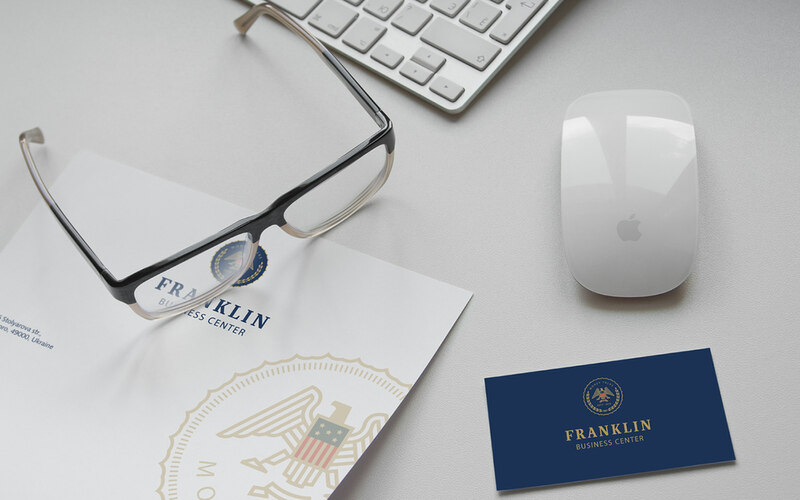 Our sign is stylized as the coat of arms, the restrained color palette translates prestige, reliability and fundamentalism. 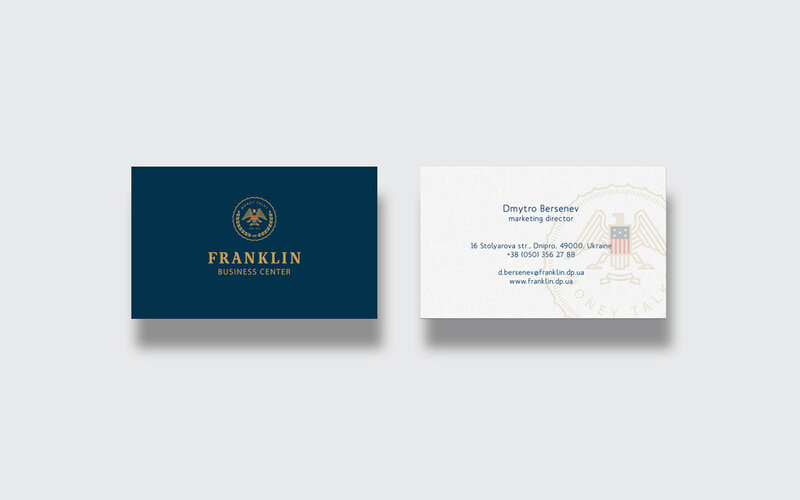 It can be read in every piece of style from the flag to the corporate stamp on the letterhead of the document. 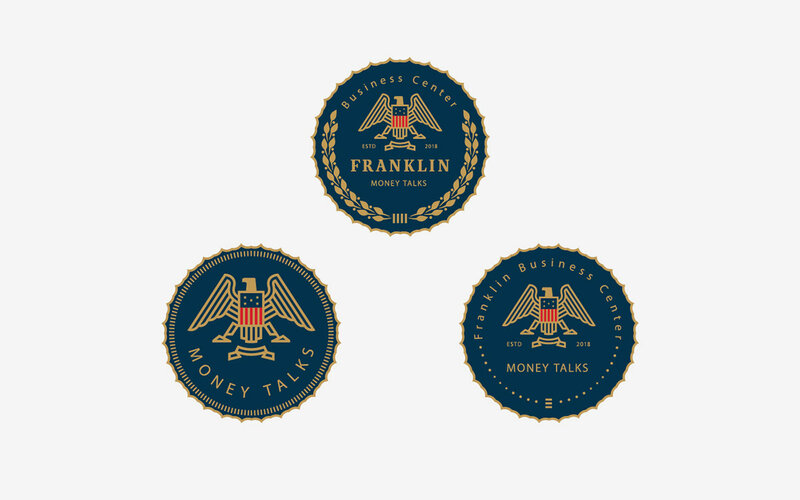 We developed the name, the slogan "Money Talks", logo, corporate identity and brand book for FRANKLIN.